Marion Performing Arts Center is located about 15 minutes from the the birthplace of rock n roll, Memphis, Tennessee. 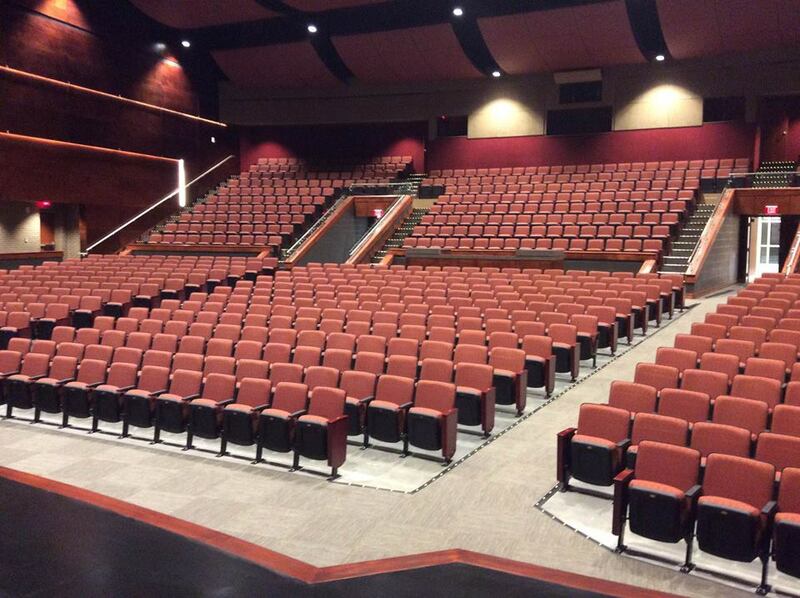 We are a 922 seat facility located on the main grounds of Marion High School in the town of the same name. We are a facility that is primarily used for the students, faculty and staff of the Marion School District and a secondary emphasis on providing quality entertainment to our community. Opening in November of 2015, we kicked off that year with a performance of Barrett Baber after his epic run on NBC's The Voice. The facility has a forty-seven foot proscenium with a twenty-eight foot stage depth. Our facility is handicapped accessible and ADA compliant with easy access to ramps on the outside of the facility. We also have a large lobby that is perfect for small functions and gatherings before the performance. We look forward to seeing you at our next event, and we thank you for being a part of the Marion Performing Arts Center community.